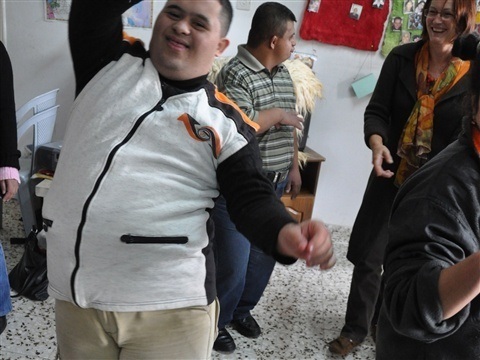 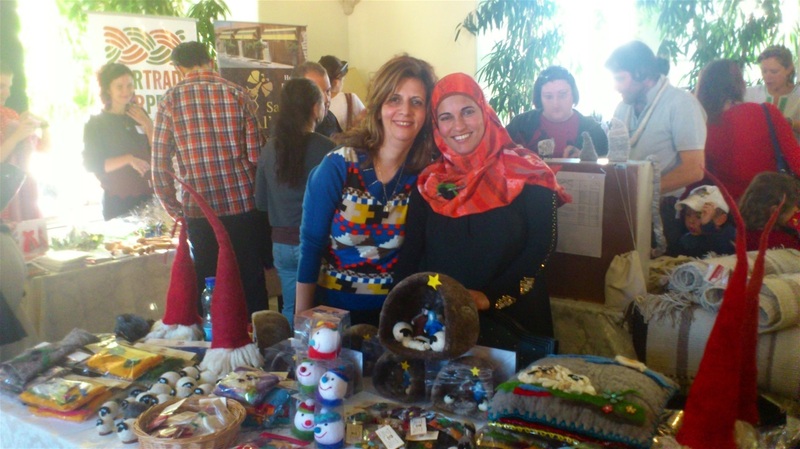 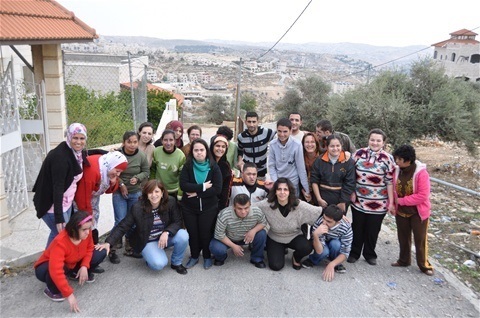 Some pictures from Ma'an lil Hayat, L'Arche Bethlehem where I have been working as a volunteer for almost four years. 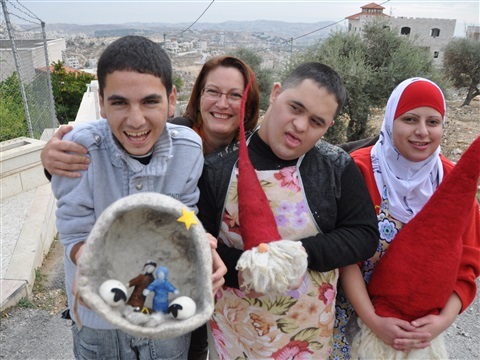 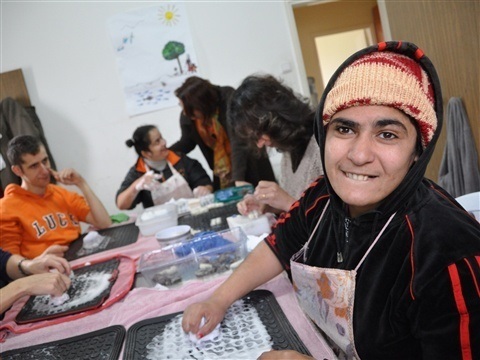 Ma'an lil Hayat is a daycenter for mentally challenged people in Bethlehem and the only woolfelting project in Palestine. Me with some of the coremembers at Ma'an lil Hayat. 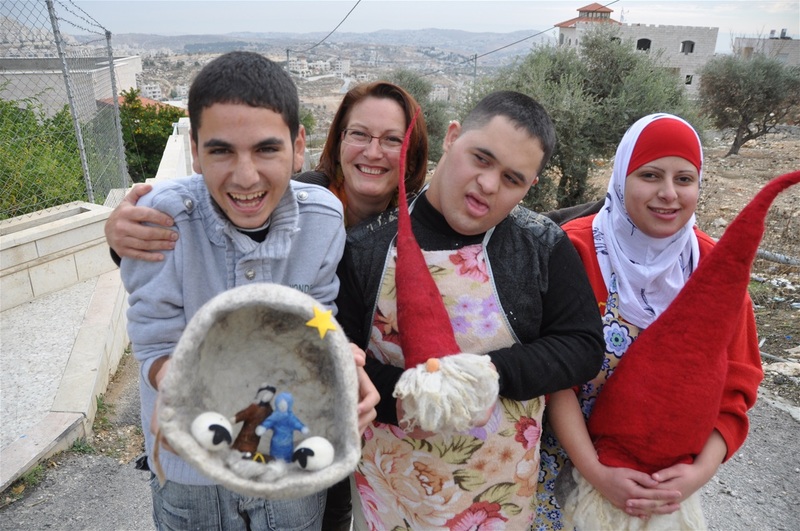 This is me with Rami, Helmi and Sara. 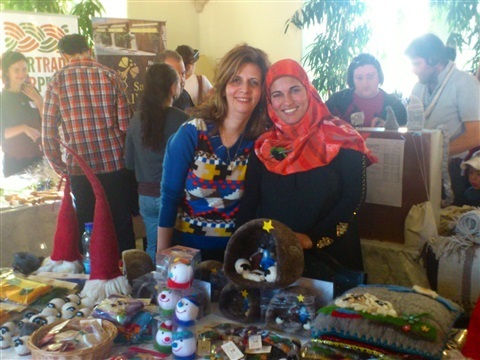 They are holding the main product of the workshop, the Nativity Grotto and a new product that I introduced, the Swedish " Tomte" or Gnome. 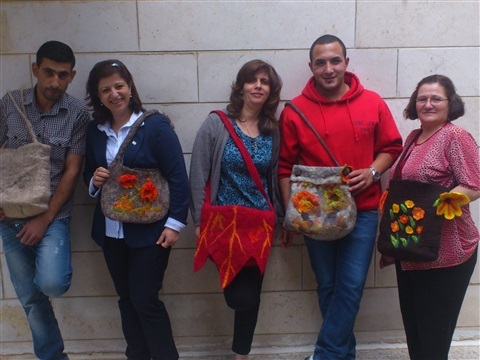 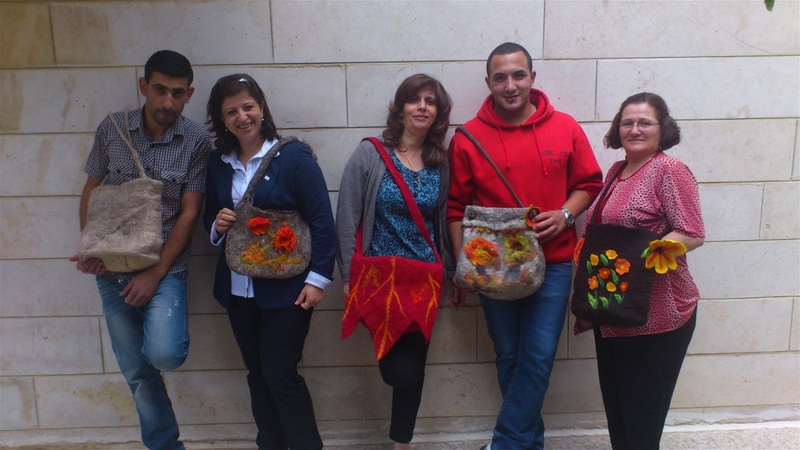 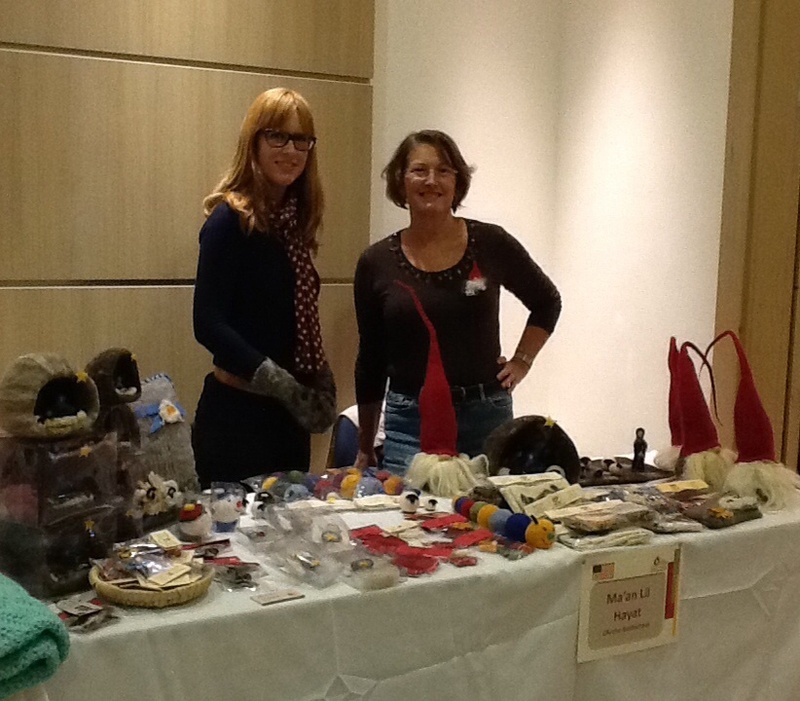 One weekend I led a workshop with the leaders on how to make felted bags. 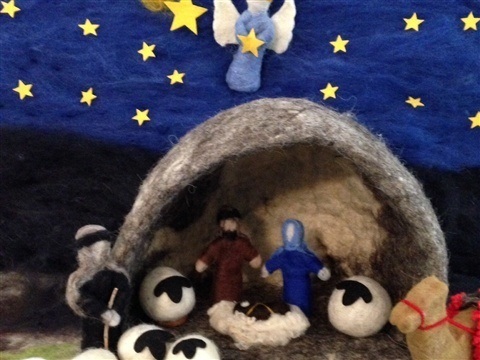 This is the most important product, the felted Nativity scene. 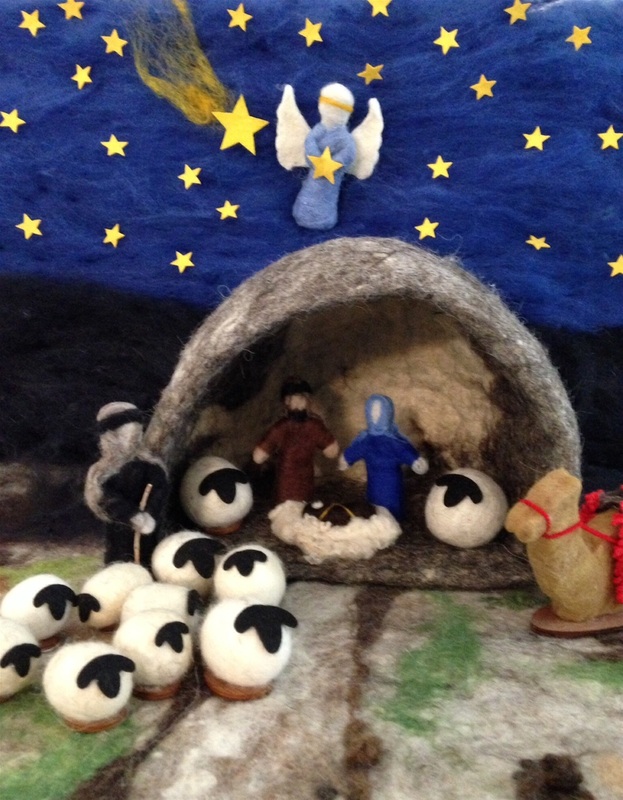 Of course it is made of wool of sheeps that graze the hills of Bethlehem and surroundings! 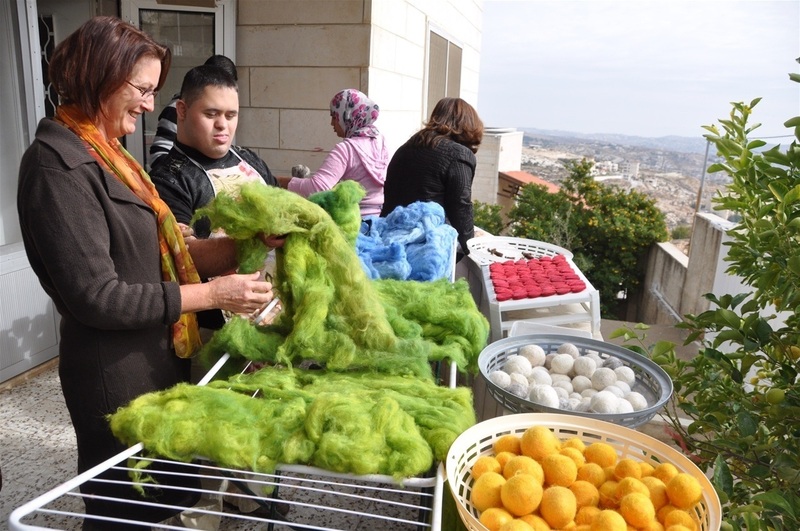 Part of the process is dyeing the wool. 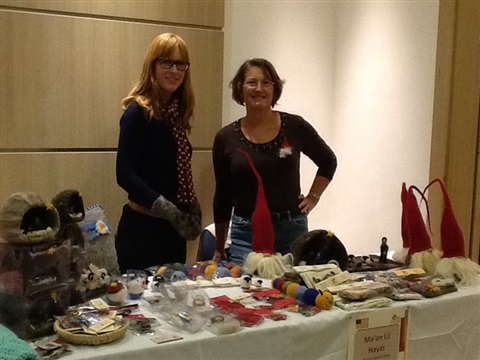 We use synthetic woolcolours that I have brought from Sweden. 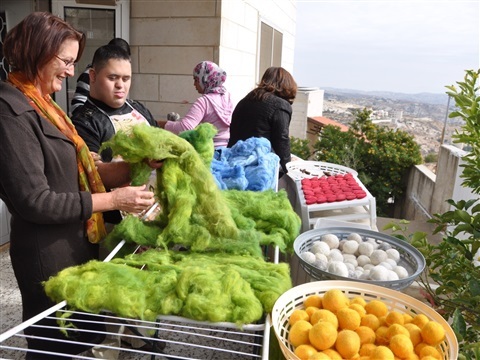 It's important to dye the wool at a high temperature for a long rime ro minimize the toxic waste. 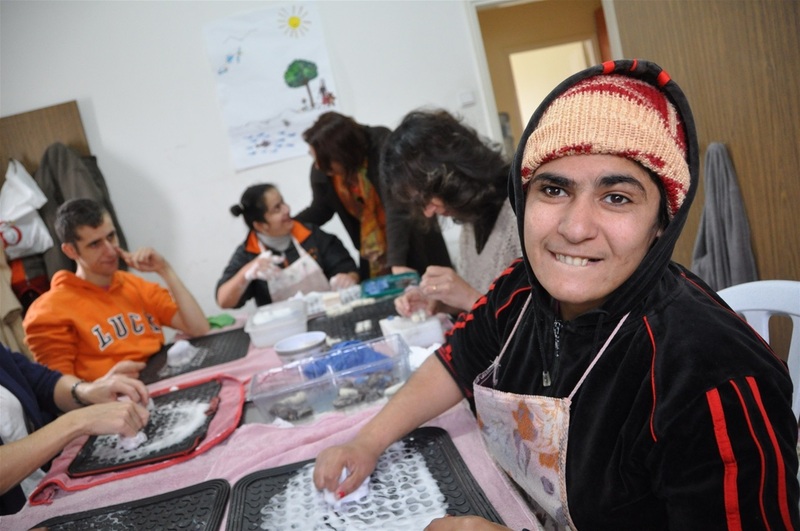 We try to use the oliveoil soap as much as possible, it's good for the wool and gentle on our hands. 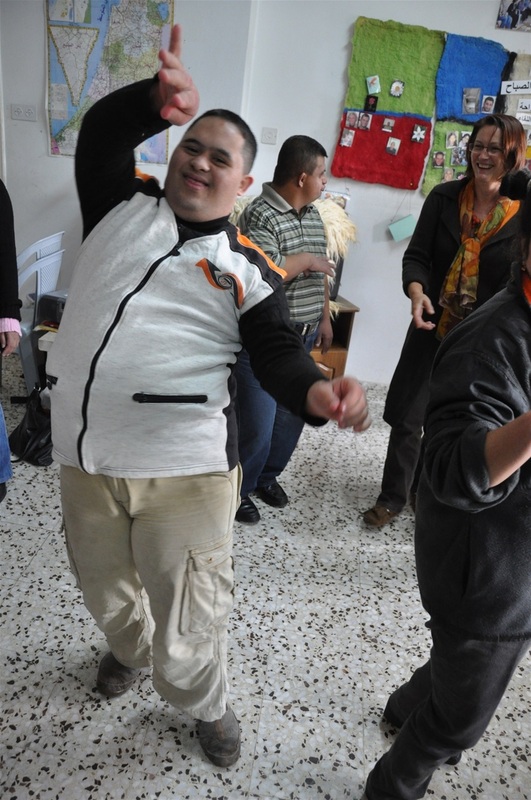 Life is not only work, at breaktime it's good to move the body and dance!